If you’re a complete noob to reloading, and not really sure how much time you will have for it, or if it will even be your thing, then let me suggest you take a good long look at a single stage press. From time to time you can find them an entry level Lee Precision single stage press for about $25 on Amazon. You can then start to build your out your setup piece by piece, or can buy a kit with almost everything you need. All in, if you go the “budget” route you can get all the needed equipment for around $200. 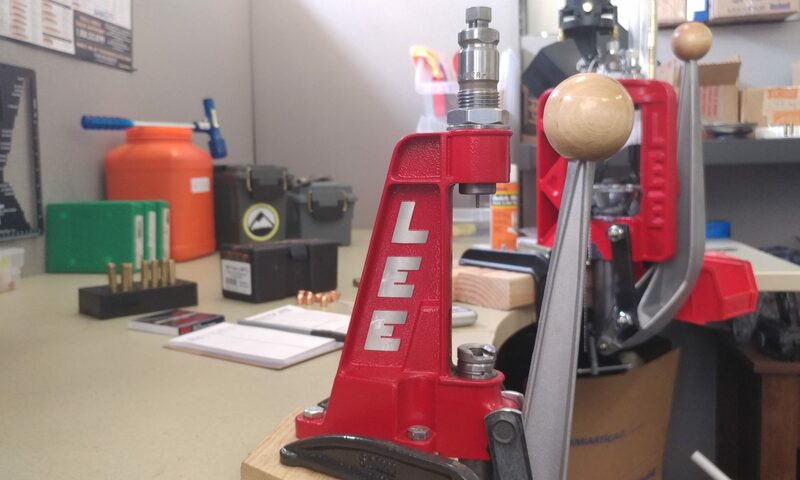 If you need a complete list of equipment to get started check out our Reloading 101 article. If you are worried about out growing the press later on as you become more proficient and want to increase productivity and/or reload more calibers, don’t be. As I explain a little further down, even if you have a $1k+ press, a $25 single stage still has it’s place on the bench and will still serve a very vital purpose. If you want to make ricky-ticky sniper accurate level ammo, then single stage all the way. There are less moving parts in a single stage which means you have more control, and there is less mechanical “slop” in the press giving you the greatest consistency. If you have looked around at all for a single stage press then you will have noticed that even within the same brand press there are different levels of press. Take the time to do the research and call the manufacturers up and talk to them. They genuinely love telling their story and what makes their products so unique. The “green” ones are probably the best choice for this group of reloaders. 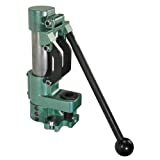 Great so do I. I jumped in head first to reloading, and bought an auto indexing, progressive press. I did so for a number of reasons, one of which being I have 8 different caliber weapons in my safe. The nice thing about most turret and progressive presses is that they have an interchangeable tool head where you can swap out the entire piece that holds the dies so you don’t have to adjust your dies every time you change calibers. The problem with reloading for multiple calibers is the case prep. This is where having a single stage to work in conjunction with your progressive really helps. Another option is to buy a dedicated turret head and a universal decap die. I am going to flat out be biased here and say that the one from Lee Precision is by far the best. It is caliber universal, carbide so no lube needed, and doesn’t resize the case so you don’t wear out your brass resizing multiple times unnecessarily (and can be found for less than $15). The only downside here is that you still have to change the shell plates which can be a pain, and worry about if there are still primers in the feeder. By having a single stage press dedicated to just decapping I end up spending about an extra $15 in the setup (I save $13 by not needing an extra tool head, but spend $25-30 on an extra press. Go as cheap as you can here, but make sure all your cases will fit), but the time savings is well worth it. I can leave my progressive ready to go for reloading, and still decap whatever I bring home from the range to then be cleaned and stored until needed. Oh yeah there is one more benefit to having a single stage press that by far outweighs ANY other benefit you could every come up with: teaching my kids. This video proves that anyone can learn to hand load/reload ammo as long as you have a good teacher. No I do not let my 4yr old handle live primers or powder. She is only allowed to use the single stage press and decap fired brass WHILE BEING SUPERVISED. 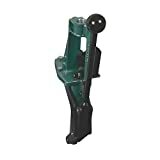 Stay tuned as we will be posting more videos explaining how to start reloading from the comfort of your own home.